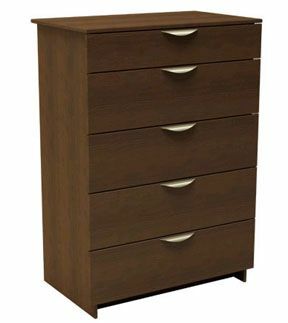 More on the Nexera Nocce Series 5-Drawer Chest (Truffle) 401205 below. Five easy-glide drawers for concealed storage and tidy finish. A dark brown, 'truffle' finish. Click "View More Images" or see "Related Products," below, to preview other items in the "Nocce" series.